All of the ingredients in the Nova products come from the finest sources making Nova’s products superior to any similar products on the market!! For more than 35 years, the people who have used the Nova products have experienced dramatic improvements in mind, body, energy, and spirit. Dr. Bernard Jensen, one of the most respected experts in the field of digestive health points out that if you are eating 2-3 meals a day, you should be eliminating at least that often. 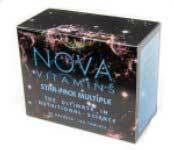 Nova’s Starpack formula is designed to cleanse, rebuild, support the immune system, and improve your energy level. The products DO NOT CONTAIN wheat, caffeine, sucrose, artificial flavors, artificial colors, dairy, or animal products. 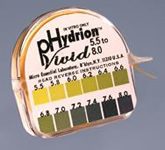 Usage tips: Consistency is the key and Nova's packaging makes this easy to do so you get the results you desire. Take the products daily, and on a timely basis, preferably with your morning meal. For best results, drink 8-10 glasses of water a day. Buy 1 Starpack and get 1 FREE!!! Order 1 Starpack at the sale price of $39.95 and you will be shipped 2 Starpacks! Limit one special per customer, new customers only please. Jojoba & Grape Seed Oil. For a limited time only buy 1 Starpack, 1 Omega 3 Fish Oil, 1 PH Paper, 1 #5 Cleanser Capsules, 1 Barleygrass Enzymes for an introductory special price of $59.95!!! buy 1 Barleygrass-Enzymes and 1 pH Papers for $24.95!!! it has a major impact on your health and longevity. 4 Products: 32 oz Detoxificant/Bentonite Clay, 10 oz Psyllium/Husk Fiber, #5 Cleanser Capsules and Barleygrass Enzymes.Both sold separately. Try our 7 day cleanse and see. Package contains enough for three 7 day cleansings. detoxing herbs: Cascara Sagrada, Aloe Vera Leaf, Apple Pectin (an apple a day keeps the doctor away! ), Flax Seed Oil Powder and Milk Thistle.